Welt Pockets as are as much beautiful as they are a mystery to sew. They are most commonly featured in suits, vests, and those cute tailored suit pants in your closet! In short, they are small rectangular openings that can have either one, or two flaps and are often lined with a lightweight cotton, such as a shirting. They seem terribly hard at first, but with practice you’ll be adding this classic twist to all of your garments that call for a Welt Pocket! To begin, simply gather up your materials needed for this project. This includes scissors, an iron, interfacing, fabric, and your Welt Pocket pieces. 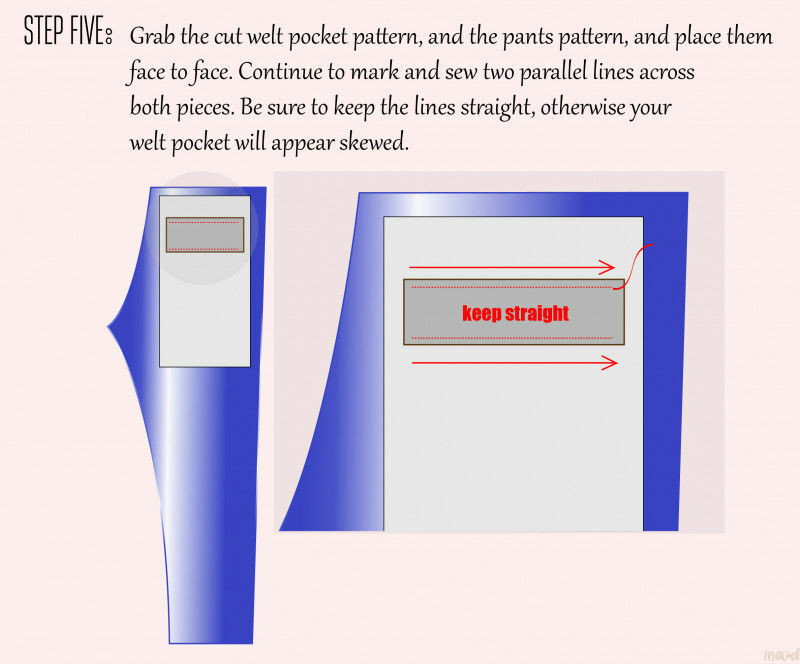 The next step is to place your Welt Pocket pattern atop of your fabric of choice, and cut out the pattern as indicated by the manufacturer’s instructions. Be sure to use pins if you find the fabric a little too difficult to work with. Next, you’re going to need fusible to help bring shape to our Welt Pockets. 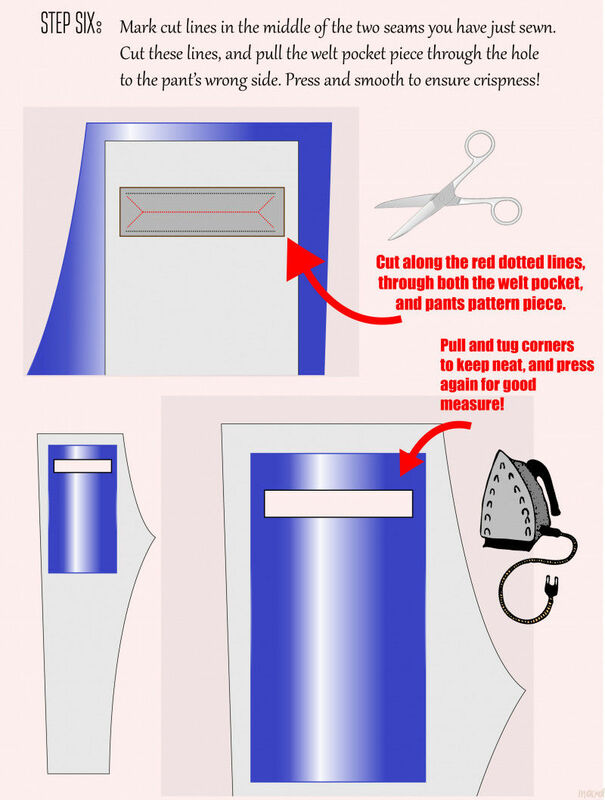 This can be attained with a simple layer of fusible. Cut out two pieces and set them aside for the next step ahead! Using a pair of unsewn pants as an example, simply fuse the interfacing to the wrong side. Use your iron to press any creases formed in your fabric, and repeat for our Welt Pocket pattern. 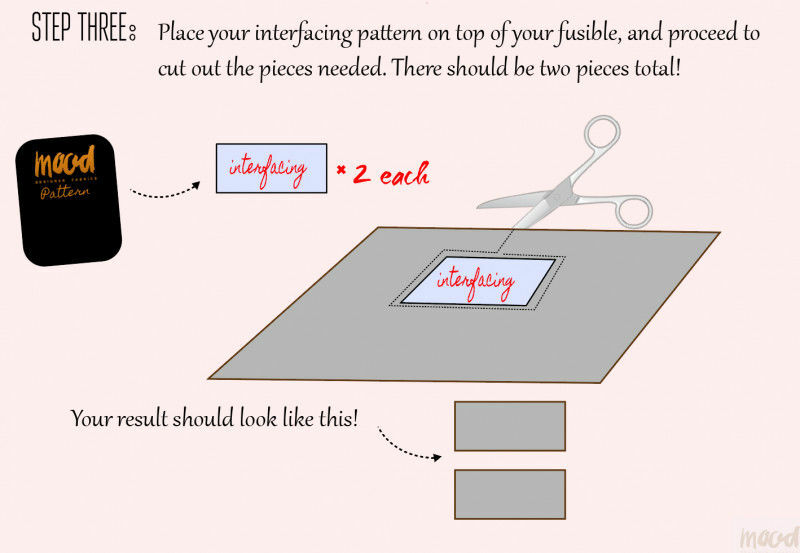 Be sure to add the interfacing to the wrong side of each piece. 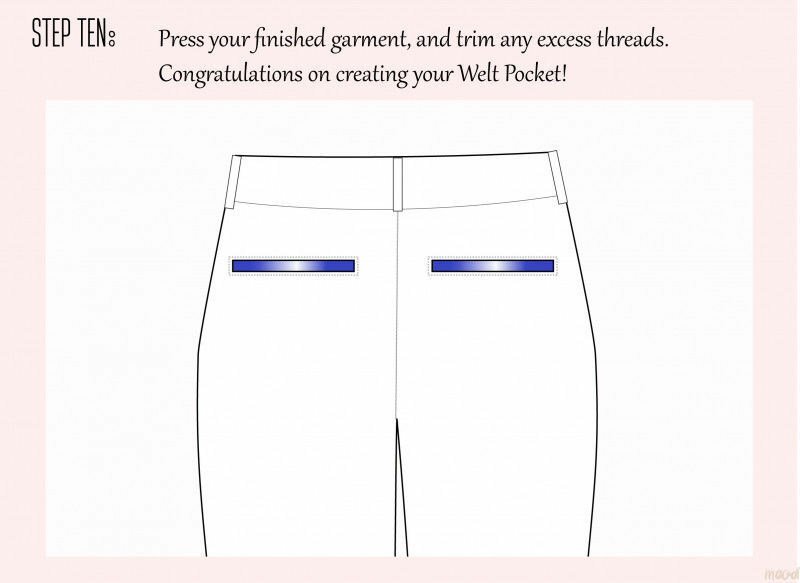 Figure out where you would like your Welt Pocket to be, and place the pattern on top of your pants, face to face. Continue to sew two parallel lines across the top and bottom of your Welt Pocket. Be sure to back tack on the first few, and last stitches of your seams! Now don’t panic, but next were going to make a hole in our pants! 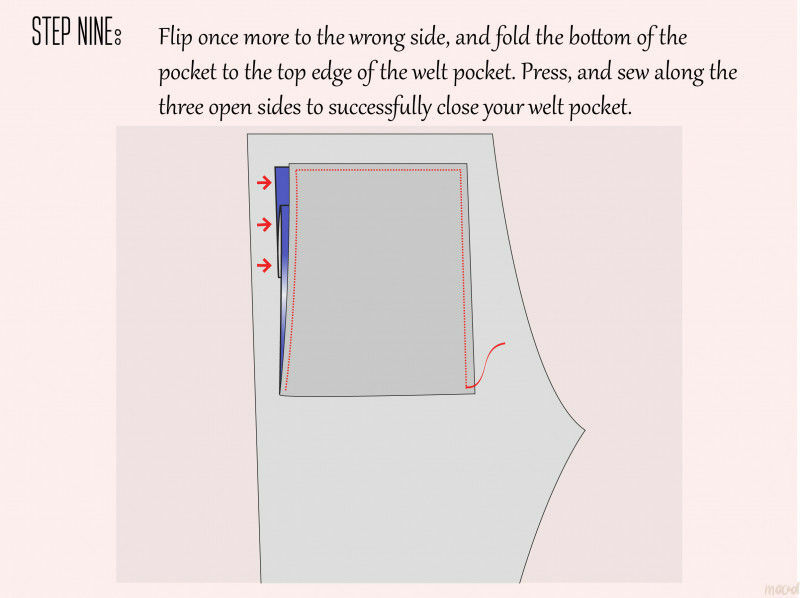 Following the diagram above, you can cut a slit into the pants, through the Welt Pocket. Just in between the sewing lines we made! This slit is going to be necessary for our pocket opening. You can’t have a pocket without one, so here we go! Once you’ve pressed and ironed your Welt Pocket at this stage, flip it over to the wrong pants side. Take the Welt Pocket and proceed to fold to the opening we’ve made previously. But just enough to the edge, just not over the opening! Press the fold down, to keep it flat for our next few stages. 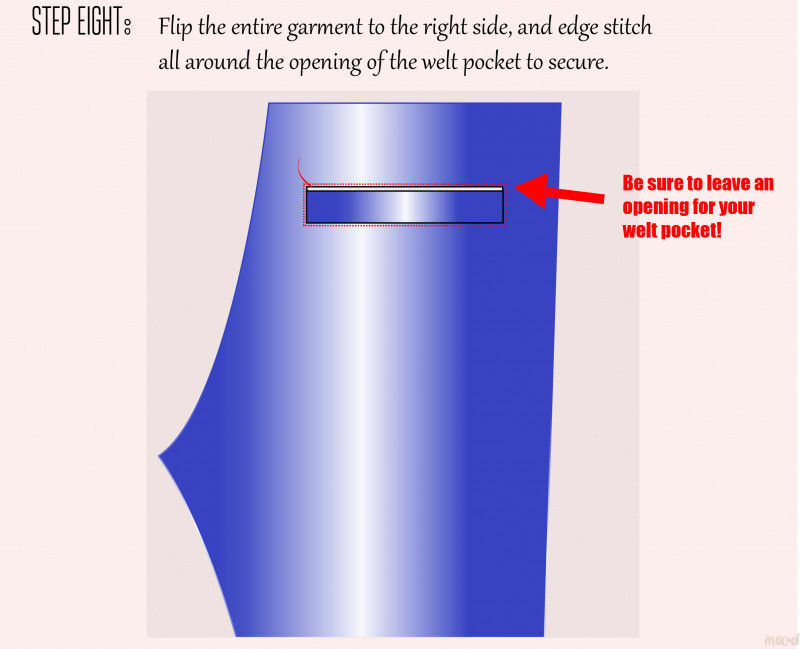 There are a number of ways to secure the opening of a Welt Pocket, but we’re going to keep things simple here. 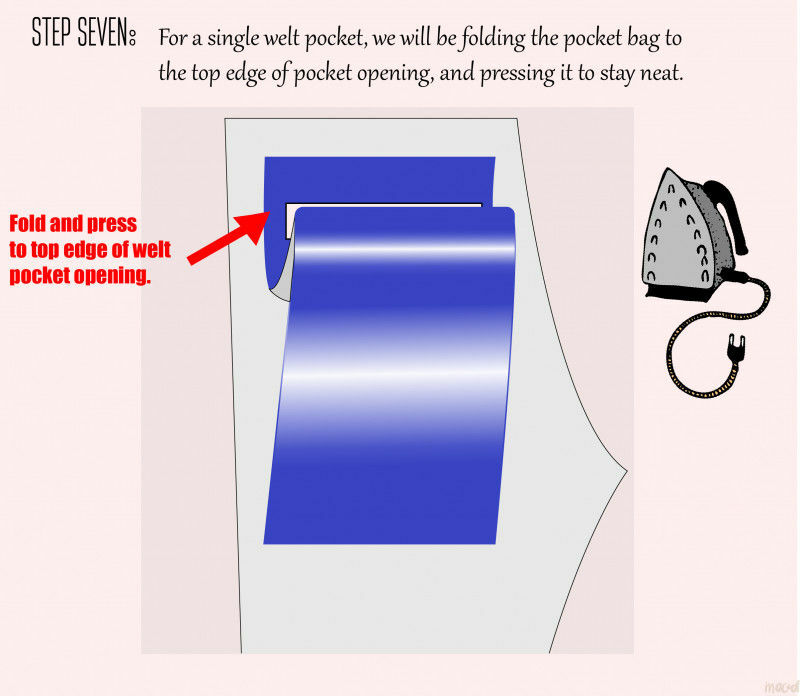 First, flip the pants to the right side, and then simply edgestitch all around the opening of our Welt Pocket opening. 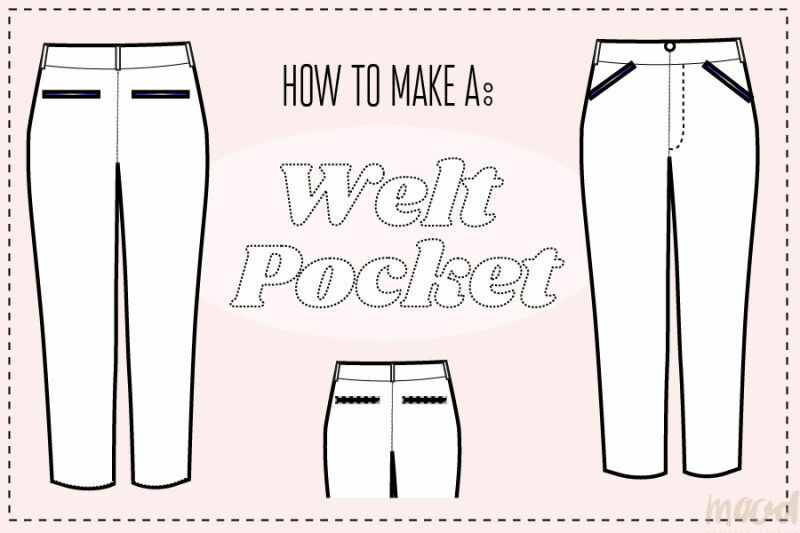 Thankfully, we’re almost done with our Welt Pocket, with just a few more steps ahead! Flip back to the wrong side, and then fold the bottom edge of your Welt Pocket to the very top edge of itself. From here, you can sew all around the pocket, being sure not to sew the pants at this point. Back tack on the very first and last few stitches, and trim any excess threads. Congratulations on finishing your Welt Pocket! I admit, that must be a lengthy process for anyone, so kudos to you for trying it out! 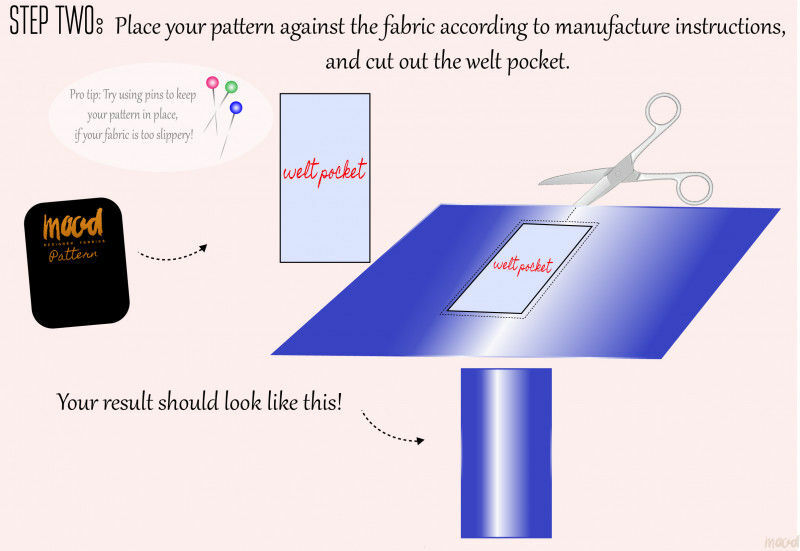 Do you think you’ll start using Welt Pockets in more of your garments? What would you do differently? Let me know in the comments! Natalia is a 90's baby with a modern attitude. A curly-haired cutie, this aspiring artist loves to sketch on her digital tablet, especially when they're fashion sketches! 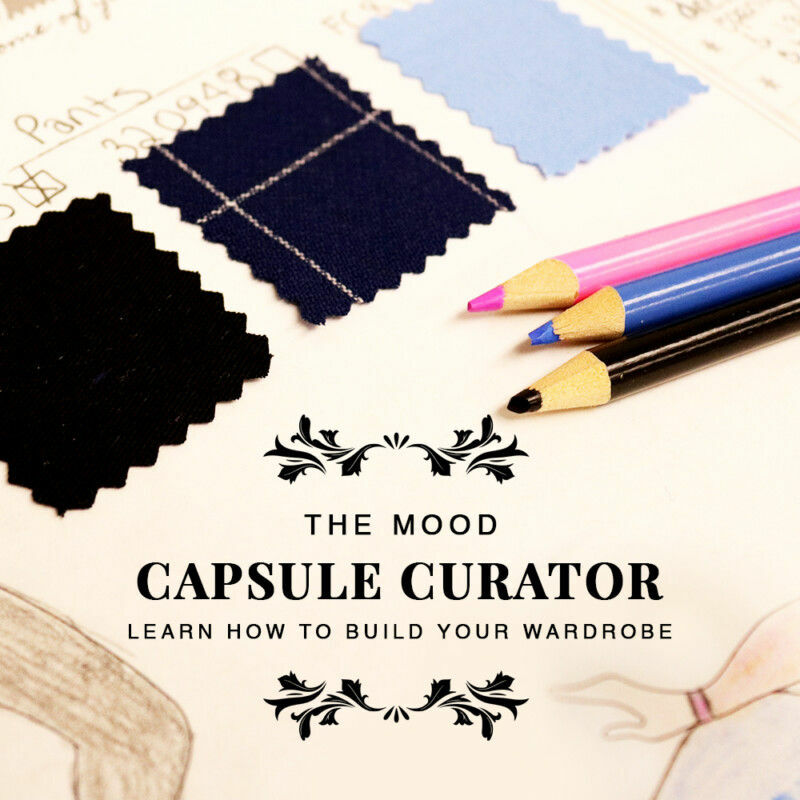 Whether she's tackling societal norms or creating an infographic, she's always in style.